1) At first, wear your dentures all the time. 2) Do not use adhesive unless Dr. Young advises you to do so. 3) You should remove your dentures when you go to sleep. 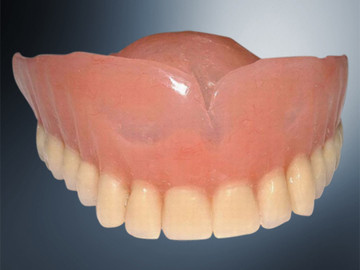 4) After removing dentures, clean with a toothbrush and place in a bowl of water. They can be soaked in a commercial denture cleanser, but brushing them is essential. 5) Any signs of "sore spots," discomfort, or looseness that is causing you difficulty should be brought to our attention.